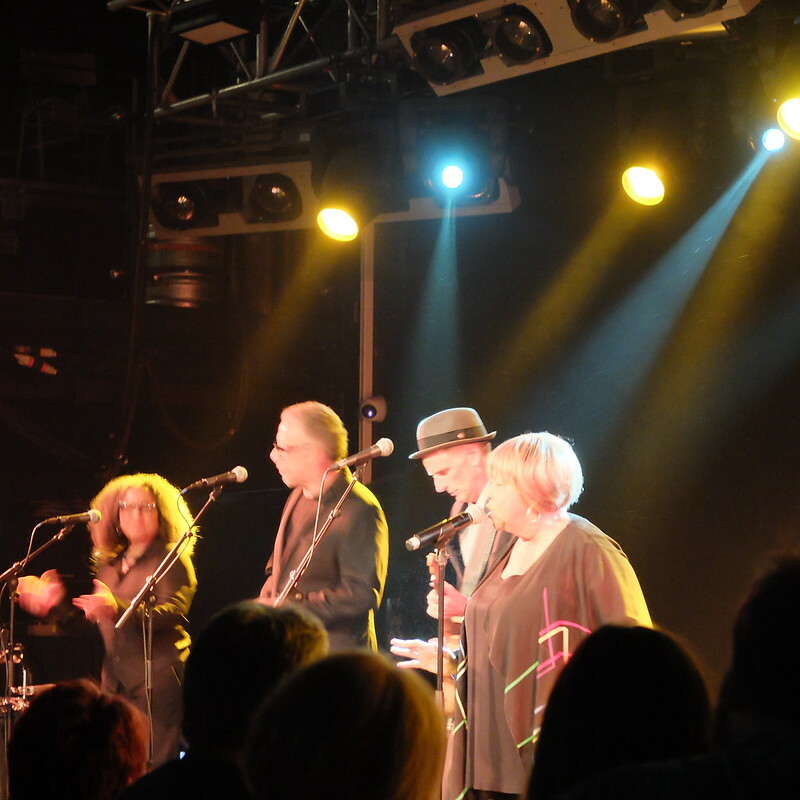 Porcelina's World: The Marvellous Mavis Staples! 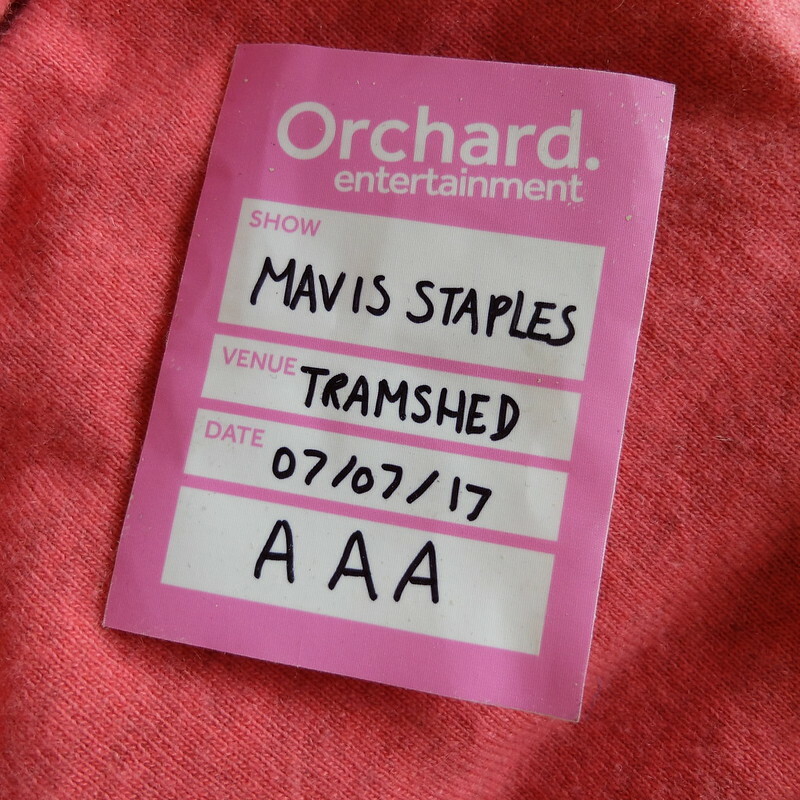 Last night my husband opened the show for the legendary Mavis Staples at the Tramshed in Cardiff. Yes, I just wrote that. 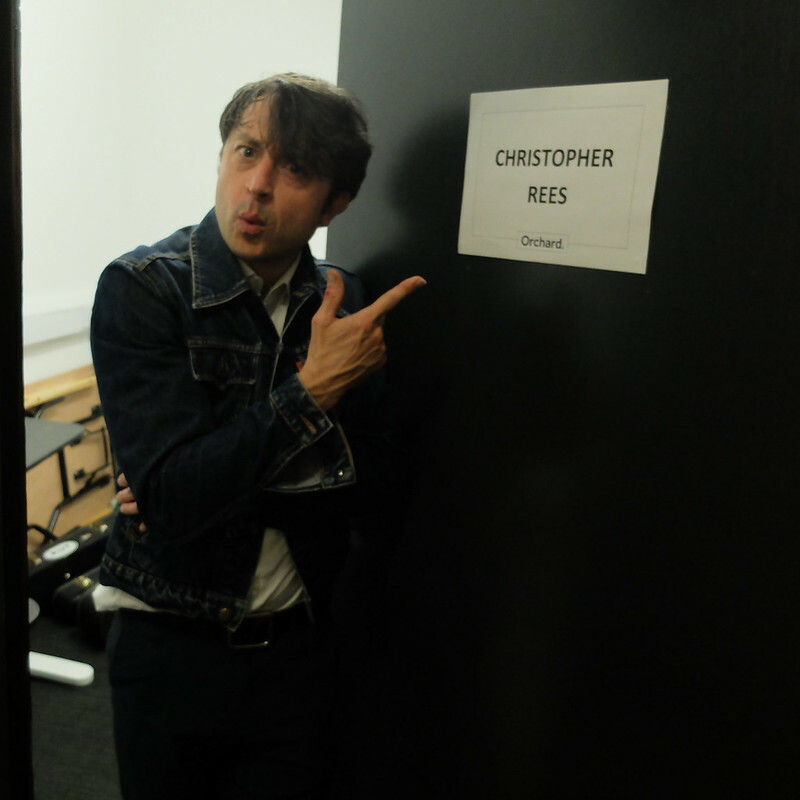 I think Chris had to pinch himself when he was on stage. 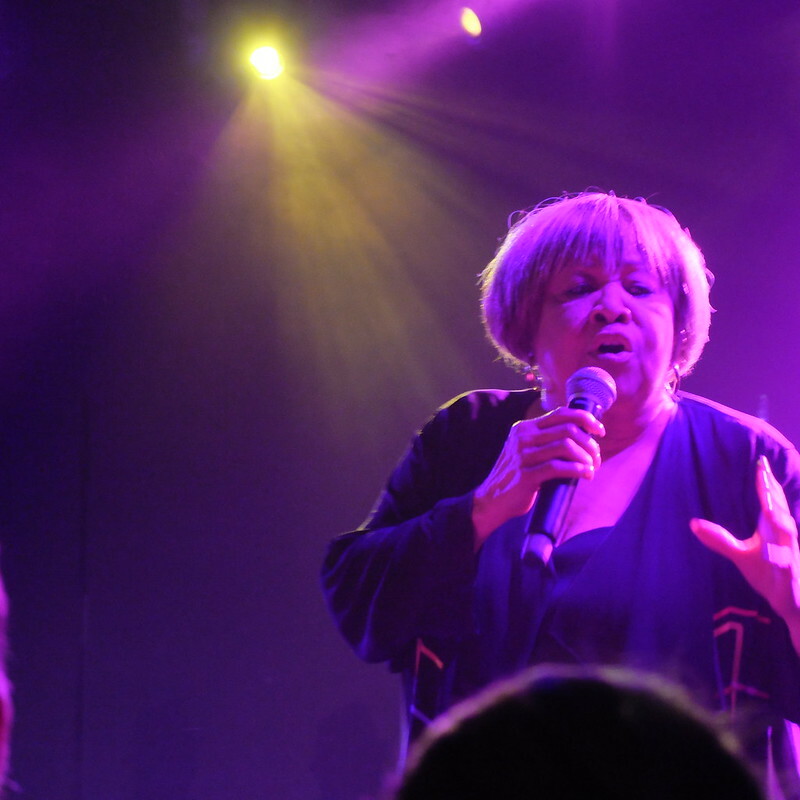 Mavis Staples is an alchemist of American music, and has continuously crossed genre lines like no musician since Ray Charles, weaving herself into the very fabric of gospel, soul, folk, pop, R&B, blues, rock, and even hip hop. Over the better part of the last 60 years, the iconic singer has seen and sung through so many changes, always rising up to meet every road unwaveringly. 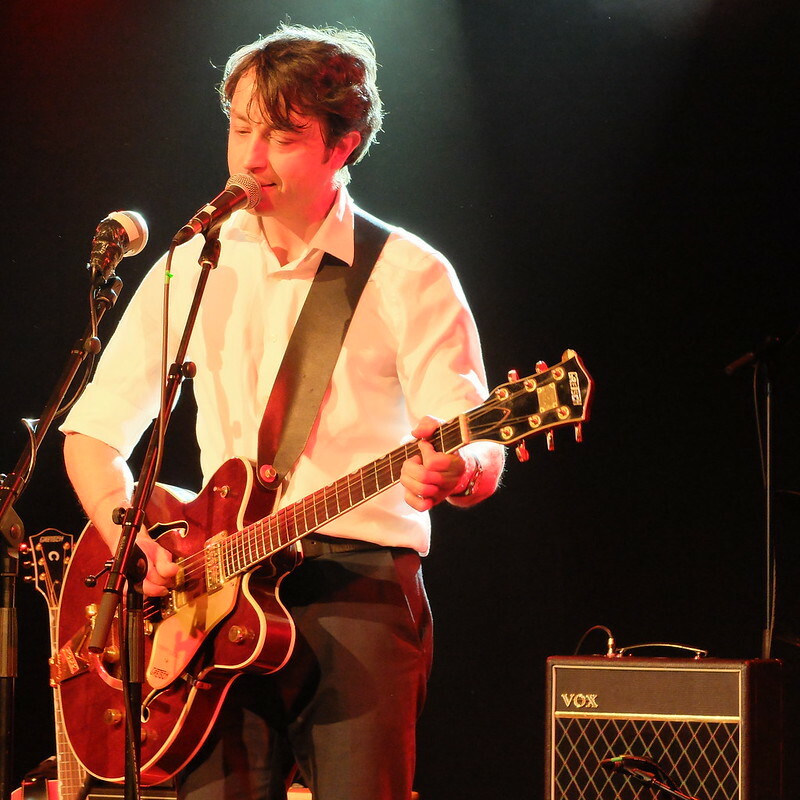 Chris himself has been influenced by many different genres of music, and so although his latest album is a country record, his set last night was sympathetic to Mavis's cross-genre sensibilities and included songs with a gospel/spiritual feel mixed in with soul, Americana and blues. 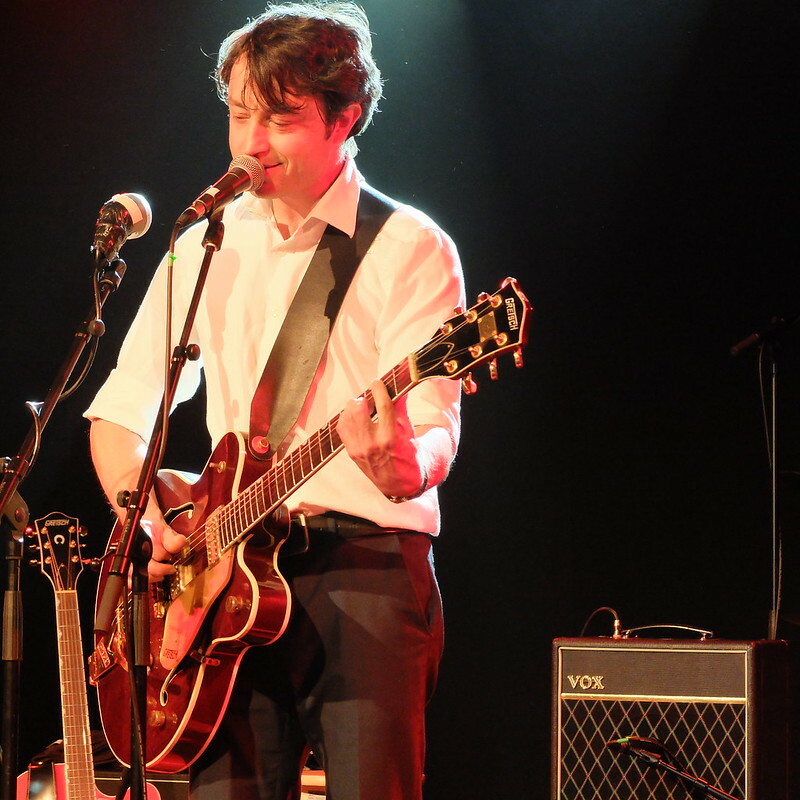 I was very proud when Chris was on stage, it's amazing how much volume just one man and his guitar can make. 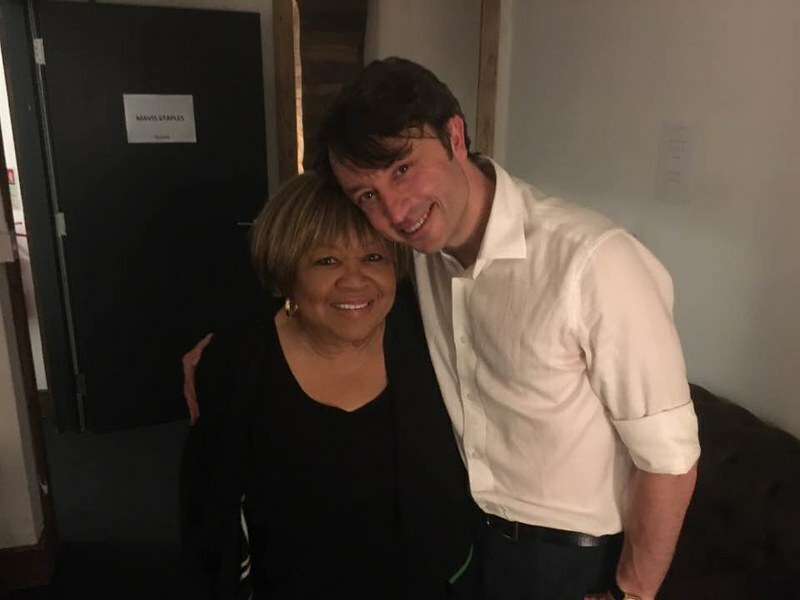 Chris got to meet Mavis before she went on, and she made a lovely comment about the strength of his voice, and how he sounded like 'three people'! Mavis herself was of course awe-inspiring, with the most incredible energy. The love in the room was so tangible. A sign with your name on is a mark of success! My 'access all areas' pass - one to keep! 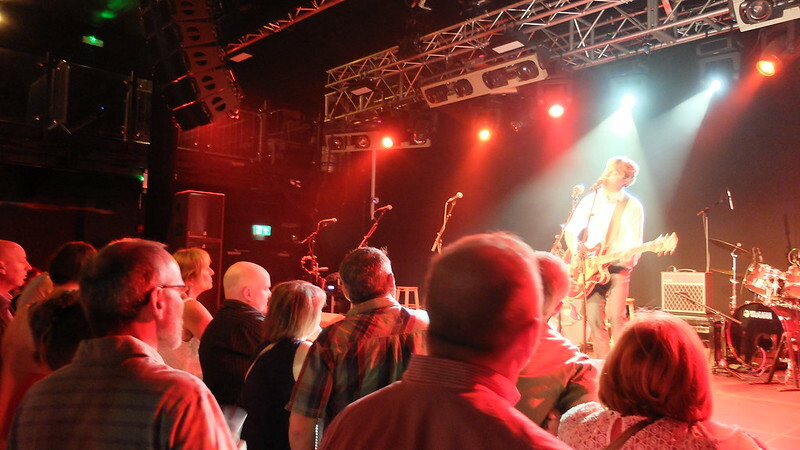 For Mavis's upcoming tour dates see her website here - there are a few European dates, a couple more in the UK (one in Bristol next week) and then she returns to the USA and Canada. I can't recommend the show enough. It's an incredibly warm and uplifting experience, and I hope Mavis continues to spread her message of joy and love for many more years. A big thank you to everyone who commented on my post about Chris's new album, and an extra thank you to all of you who gave his music a listen. Yes, I was beaming with pride!! He went down really well, phew!! Oh wow, how amazing no wonder you are proud! Thanks lovely, definitely one to treasure! I only found out about Mavis some years ago through Chris - one of those people where you probably know loads of songs but didn't quite know who'd done them? Wow, that's brilliant! Getting to play alongside such a legend must be a dream come true for him. Here's to many more great gigs! Those are great photos, you've got a great eye for a cool shot! Congratulations to him! I don't know that much about her, but I do know that she's a big act. You can really see how thrilled he is to be playing the same stage as her.